The saying goes: “Don’t knock it down till you’ve tried it”. 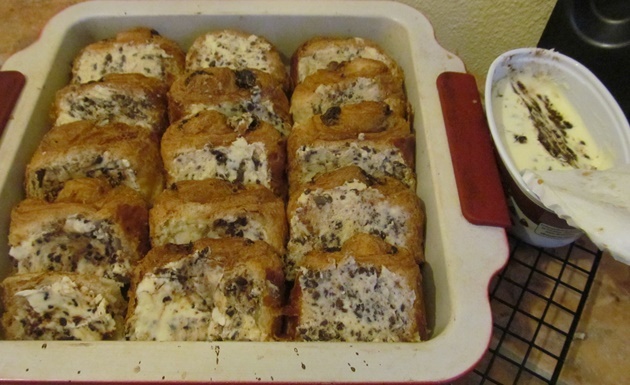 That’s what I always did to Bread and Butter pudding: knock it down as bread smothered in butter then drowned into an eggy-milk mixture could only come out as “soggy”, Yuk! 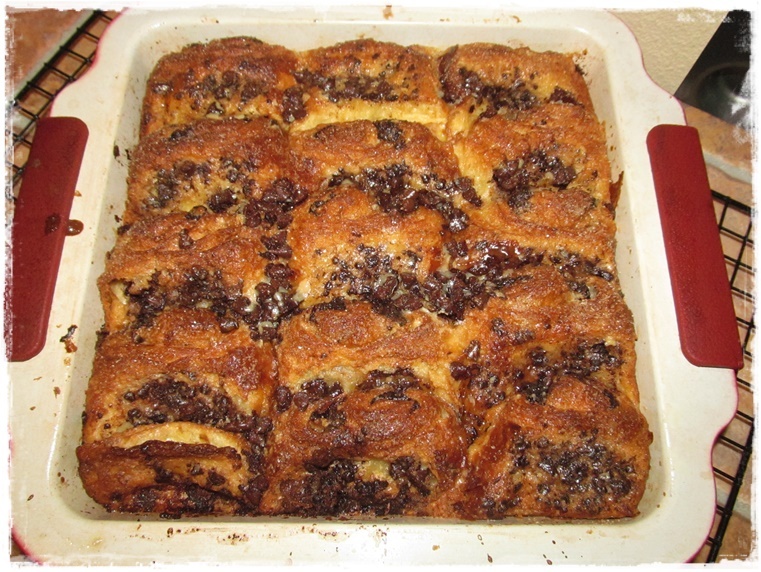 That was until I found some chocolate chips brioche slices going stale in my pantry…. I don’t really “do” puddings for after dinner but it was Christmas time and I suddenly fancied trying just that! Well, I never! It was actually nice! And the boys liked it too! So when I was given a tray of 8 “pains au chocolat” 2 or 3 days gone, I knew exactly what to do: my own spin on this very British classic! Enjoy just I did, getting the urge to share it with you!